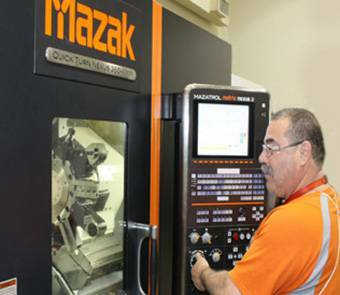 The NNSS maintains a number of machine shops designed to support fabrication of products and materials to support various missions at the Site. Among these is the A-1 Machine Shop, which provides precision machine fabrication, dimensional inspection, welding, assembly, and performance of acceptance testing for classified and unclassified components in support of the NNSS Nuclear Weapons Complex missions and customers. The A‐1 Machine Shop has routinely been recognized by the NNSA for fabricating and inspecting numerous (classified) parts to support the B61 Program, training components for the Weapon Surety Program for the Los Alamos National Laboratory, and piece parts for the W88 program. The classified capability was developed to enhance support and relieve stressed operations in the NNSA Stockpile Management Program.